First, after undergoing the brazing process, joints will be as strong as the base materials being joined together. For example, brazing aluminum correctly makes the end result stronger than it was at the start. This means that if the brazed joint does happen to fail, the failure will occur in the base material as opposed to the brazed joint itself. As opposed to metals and other components that are manually fastened together and can come apart with time or wear and tear, brazed components are intended to be permanent. "Unlike some mechanically fastened parts joined with nuts, bolts or screws, brazed components are not usually taken apart after brazing. The intent is that when one or more parts are brazed together to form an assembly, that assembly will stay together permanently. And, when brazing is done properly, permanence can definitely be achieved for a wide range of end-use conditions," writes W. Daniel Kay on American Welding Society. Ultimately, it's important to completely evaluate the conditions at end-use that the component will have in order to determine whether or not brazing machinery is a good investment for you. These conditions include estimated stress levels, service temperatures, fatigue, cyclic conditions, and corrosion resistance requirements. Keep an eye out for the next post, where we'll continue to discuss what industries need brazing and why. 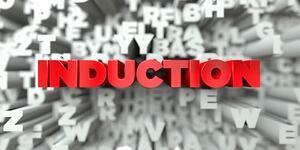 For more information about induction heating and induction brazing, contact Ambrell Corporation.